Historical Marker #1731 commemorates Godman Field, an army airfield in Hardin County. 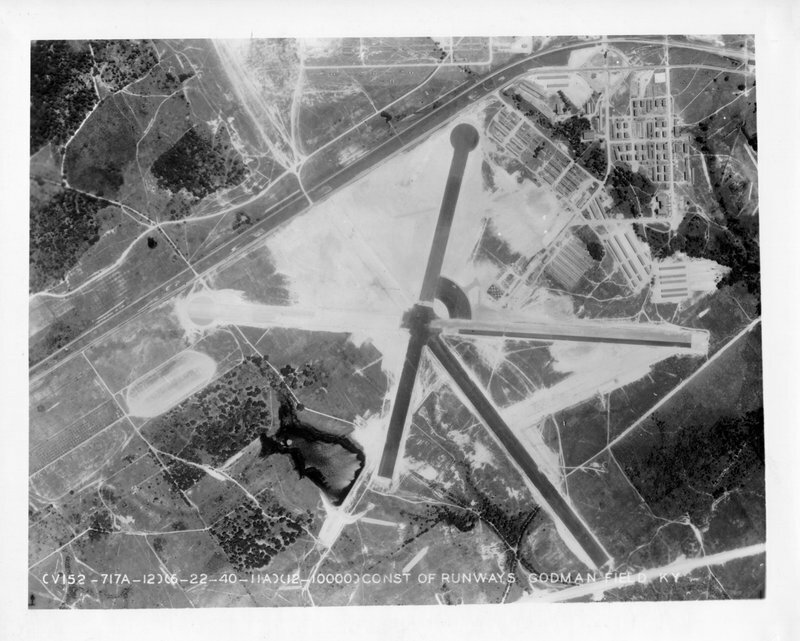 This airfield, established in October 1918 during World War I, was built for the 29th Aero Squadron at Camp Knox. The airfield initially supported Army forces at Fort Knox. After the United States entered World War II, however, Godman Army Air Field became a First Air Force group training station for medium bomber groups. The 387th and 391st Bombardment Groups formed and trained at Godman Field in 1943, prior to their overseas deployment. In 1944, when the mission changed to replacement training, the 477th Bombardment Group became the B-25 Replacement Training unit. It trained replacement personnel prior to their reassignment to combat units overseas. It remained at Godman Field after World War II and was designated as a permanent station of the United States Army Air Force. In 1946, Godman was reassigned to the Tenth Air Force as part of the Air Force Reserve. The 315th Army Air Force Base Unit became the host organization, and the 477th Bomb Group remained as the flying organization until its inactivation in October 1946. It was redesignated as the 315th Air Force Base Unit in September 1947 with the establishment of the United States Air Force, and in July 1948, it was redesignated as the 2236th Air Force Reserve Training Center. During that time, Godman Field was renamed Godman Air Force Base. After the 1953 armistice in Korea, Godman was phased down and the 4430th Air Base Wing became the host organization at the base. Air Force activities were ended and the base was inactivated on December 31, 1953. It was then transferred to the U.S. Army, became a light aircraft and helicopter airfield in support of Fort Knox, and was renamed Godman Army Airfield. Godman Field: Photo of Brig. 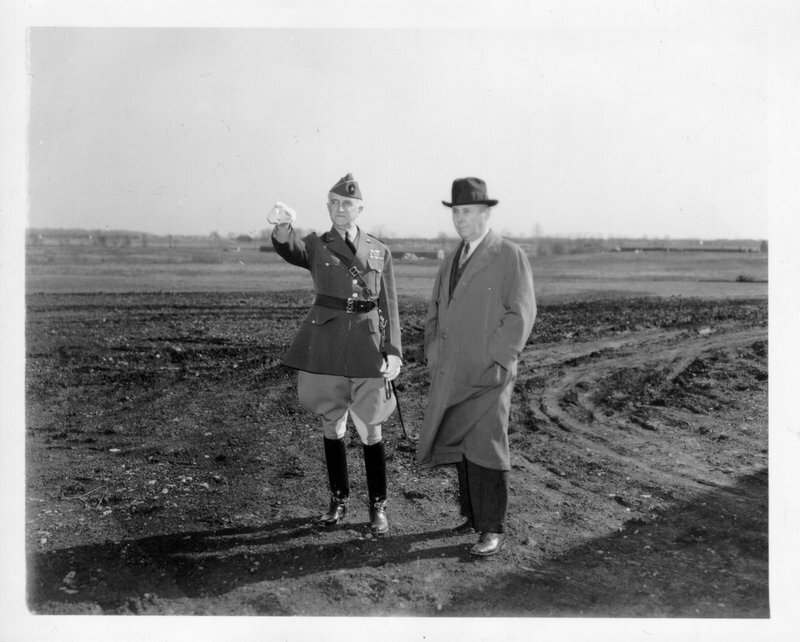 Gen. Daniel VanVoorhis and George H. Godman looking at the construction of Godman Field in 1938. Ariel View of Godman Field: Photo taken above Godman Field in the late 1930s. 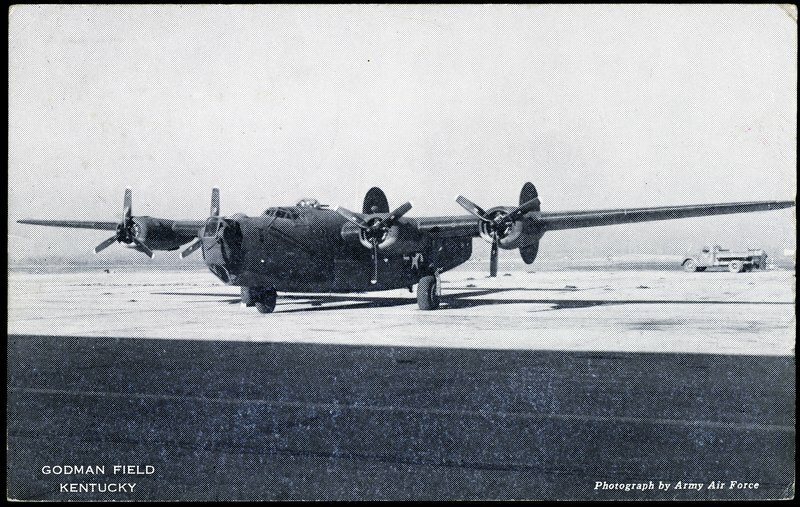 B-24: Photo of a B-24 on the runway of Godman Field. Becky Riddle, “Godman Field,” ExploreKYHistory, accessed April 19, 2019, https://explorekyhistory.ky.gov/items/show/618.